This week begins the first topic of Part II, the elements of digital citizenship. Part II of the course looks at specific resources to help educators understand and apply digital citizenship ideas in their educational settings. Begin by watching the following screencast about this week’s activities. It is 6 minutes long: Week 7 – Digital Citizenship Tools Overview. How can the complex ideas behind digital citizenship be addressed in simple, effective tools that can help us develop digital citizenship skills with our students, as well as assess their digital citizenship skill levels? What tools and programs currently exist that teachers can use? 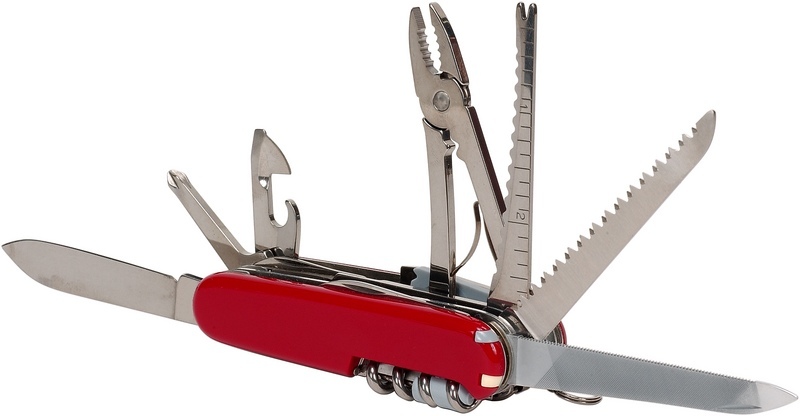 Of the tools presented in this week’s materials, which were most helpful? If you could develop a new tool, what would look like? If you wanted to engage students in developing new tools in this area, how might you structure that activity? This week we look at some specific tools for helping teachers and students evaluate digital citizenship issues. We will look at Ribble and Bailey’s Digital Compass for understanding ethical issues. We will also look at the Digital Driver’s License program administered by Marty Park for the Office of Knowledge, Information and Data Services, for the State of Kentucky’s Department of Education. He is a leader in helping schools infuse digital citizenship concepts and skills into their professional practices. We will also look at Commonsense Media’s Digital Passport program. We will look at other Commonsense Media material in more detail later on in the course. Lastly, you will walk through a screen cast that I made about digital citizenship activities I do with students, called You’re in Charge, in which I ask them to develop policy to govern themselves in terms of their use of technology and activities online. To identify and explore tools, constructs and programs that are available to educators to promote the ideas and perspectives embraced by digital citizenship. To explore specific tools, including Digital Compass, Digital Driver’s License, Digital Passport, and You’re in Charge activities. To compare and contrast these tools in order to better determine what works best for you and your professional needs. To imagine new tools that would help you teach and assess digital citizenship skills and understandings. To imagine activities you could do with your students that could help them imagine new ways to develop and assess digital citizenship tools. To demonstrate an understanding of the above via graduate level discussion and ePortfolio reflections. This week is a week of exploration. Please explore as many of the the following programs as time allows. 1. The Digital Drivers License, or DDL. DDL is an Office of Technology Information Service project from the Digital Learning Design Lab at the University of Kentucky. If you are interested in learning more about the work, please contact Gerry Swan at gerry.swan@uky.edu. The DDL is very classroom driven, in that teachers and students are linked together, and teachers can run student progress reports. Basically, you work through “cases” related to digital citizenship issues, and then work toward a obtaining ‘driver’s license’ in the area of digital citizenship. To sign up for the DDL program, go to The Digital Driver’s License. To learn about how the DDL works and/or to sign up, watch the five-minute, introductory video. A hint in terms of signing up: If you are not associated with school or district, then just click the new teacher account button, create a new account and leave the school fields blank. You’ll get a temporary 4 digit password and be instructed to change it to something more memorable on first login. Problems? Email Marty Park | Kentucky Department of Education (KDE): marty.park@education.ky.gov. Recorded Interview with Stephen NooNoo from THE Journal. (Audio is good, video is choppy.) Note: The basic concept of the DDL presented in this hour long video is illuminated in minutes 2 through 11. Students Need a Digital Driver’s License Before They Can Start Their Engines, by Gerry Swan and Marty Park, from ISTE’s Learning & Leading, December/January 2012/2013. Digital Citizenship: Businesses Can Learn From K-12 Educators, from the Huffington Post, by Vala Afshar, 02/11/2013 12:43 pm. 2. Digital Compass, by Mike Ribble. From Mike: “Some children and even adults may have had poor role models, developed bad habits, or perhaps just not thinking before acting. The purpose of this compass activity is to help students/children analyze their ideas about what might be appropriate technology use.” Read Dr. Ribble’s article about this, Developing Ethical Direction, which can be seen via ERIC. Then consider an issue you have dealt with in light of the digital compass. 3. Commonsense Media’s Digital Passport program. Sign up for the passport program, and explore the resources that the program has to offer. It is also available as an app (in the App Store or Google Play) and as an app in the Edmodo app store. Note that this is geared for grades 3-5, but can be useful for grades above and below that. The Digital Passport provides student progress reports, as students move through a series of issues related to good digital citizenship in areas such as cell phone use, how to credit mashups, effective searching strategies and cyberbullying. 4. You’re in Charge, by myself. Watch a screencast in which I walk you through workshop materials I use with students to help them think in terms of developing policies for technology use at school. These are just four programs, services and tools to help orient you in terms of real world learning in the area of digital citizenship. Tell me about others. I am always happy to hear about them. 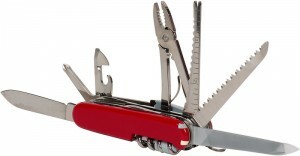 Swiss Army Knife, photo. Retrieved December 2, 2013, www.clipart.com, used with paid subscription.